I just watched this TED Talk by Bill Gates. He is talking about teachers recording themselves and receiving feedback on their teaching through placing a flip camera on a tripod in the back of their rooms and then just watching it themselves and beginning by being their own coaches. You know, I am teaching all of my classes online this semester and am recording all of the sessions. I have expected students to review the videos if they miss them, but maybe I should review them as well to see how well I am doing . . .
What do you do to get feedback on how you teach? 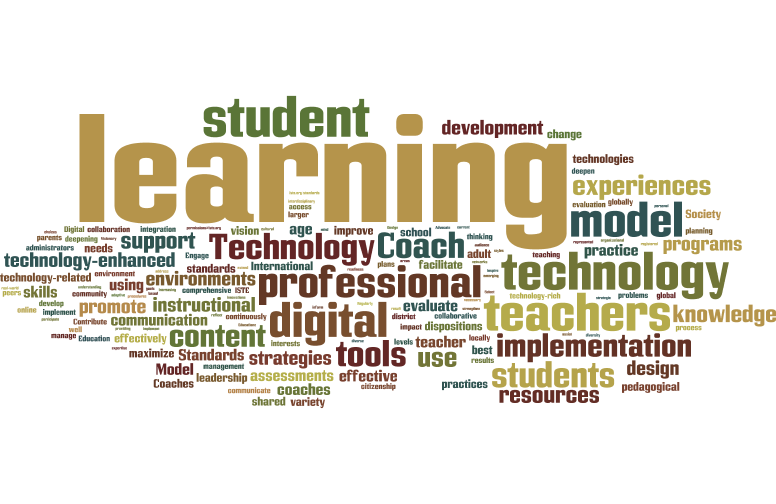 Recently I was preparing for teaching my course, Leading Change Through Instructional Technology. As I was reviewing the ISTE Standards, I became interested in looking for the emphases in each of the areas identified by these standards. It was quite obvious that addressing the teacher standards would prepare Teachers for creating a learning environment where Students could learn in a 21st Century manner. The Administrators were envisioning and providing schools where teachers could create such learning environments. The Coaches were training Teachers to use the 21st Century Skills to create these learning environments. While reading these standards, I took notice of the language used in each of them. I decided that the best way to look for linguistic structure and commonalities was by drawing Word Clouds. 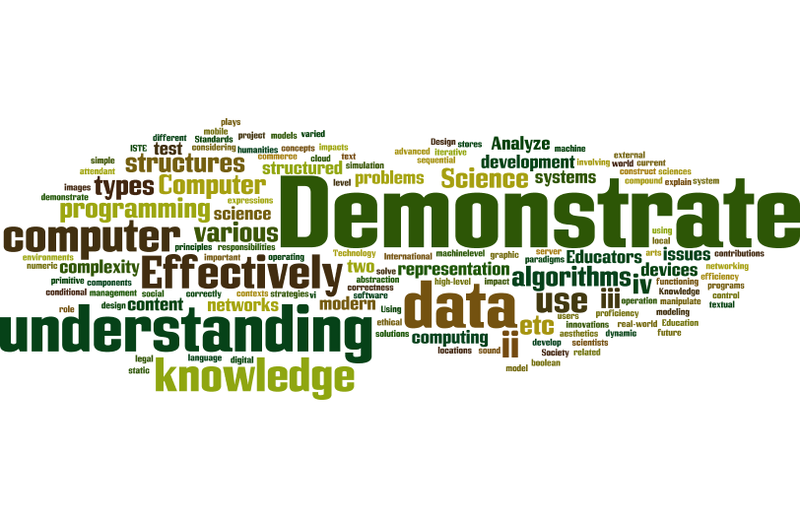 I ran each of the standards through Wordle.net and they yielded the images below. Review them briefly and identify look for the dominant words in each of the clouds. Remember that the larger the word, the greater the number of times that word appeared in each standard. It is encouraging to see that Learning is the largest word in each of the first three clouds. The Teacher's second largest word is Students. Technology is the second largest in the Administrator and Coach standards. Look at these clouds identify the what's important in each of these standards. 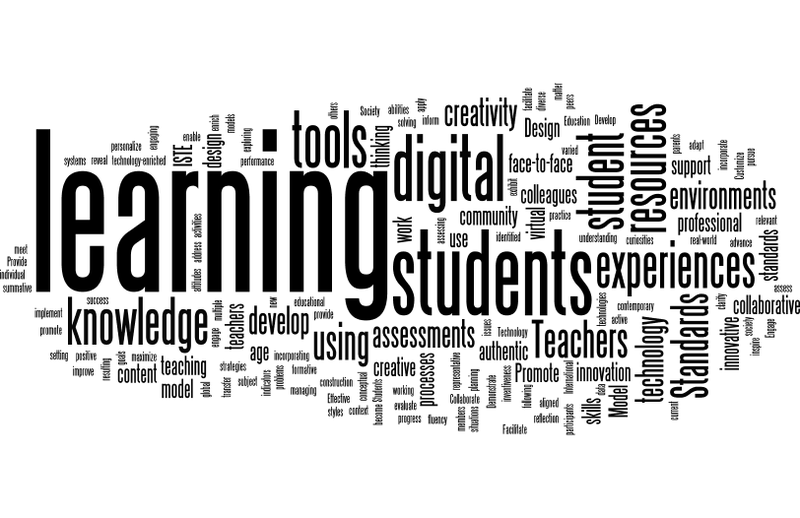 As I reviewed the Students cloud, it was interesting to see that Learning is not even included in their cloud. That is strange since the only thing the students are assigned to do is Learning. 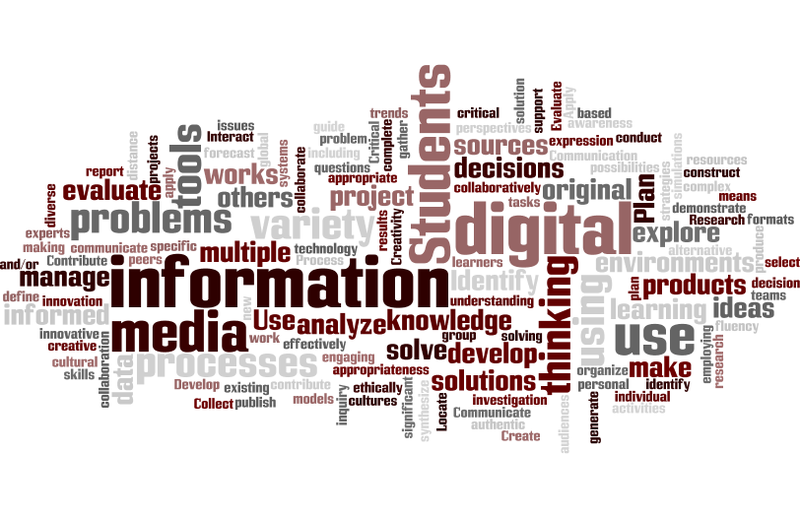 Information is the main word for the students. That is what the students need to manage. Look a little closer and you will see that the action verbs including Use, Analyze, Solve and Develop are some of the larger words in the cloud. These are the measurable behaviors that will indicate that learning has occurred. 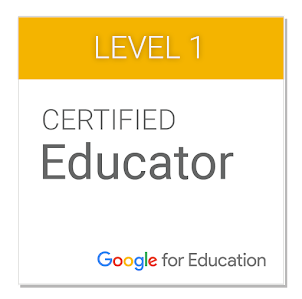 The one set of standards that is unique is the ISTE Standards for Computer Science Educators. 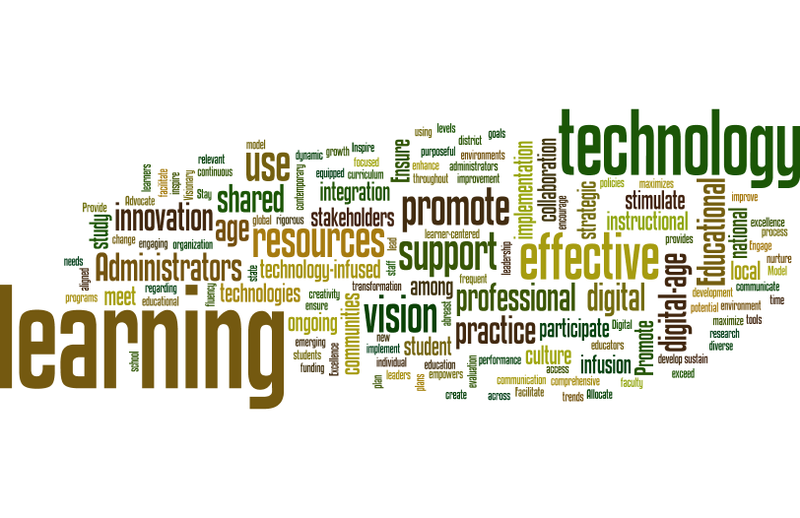 Inspecting the Word Cloud shows that the most important thing for these educators to do is demonstrate their mastery of the computer science content and pedagogy. These standards seem to be more directed towards evaluating the CS Educators' competence than preparing students for the field of Computer Science. Hopefully this is just a difference in the authors' perspective and vocabulary than what was used for the other standards. The ISTE Standards provide important guidance for educators in preparing our students for the 21st Century. How do you use them to direct your teaching? What are your ideas for the strengths and recommended areas of improvement for the ISTE Standards. Alan Kay is one of my heros. He was one of the earliest pioneers in Object-Oriented Programming, personal computing and graphical user interface. Dr. Kay has had a productive life where he was part of the Xerox PARC where they developed an entire genre of personal computing that was later used to create the Macintosh. Here are a couple of videos done recorded by Bob Greenberg. He has been recording leaders in the field and has more than 120 recordings at his Brainwaves site. Using Technology to support learning is a useful idea, but sometimes it is difficult to induce teachers to Embrace Change. Notice that I didn't say Embrace Technology. Change will only happen when educators believe that there is a reason to change and that it will make a positive difference in their students' learning. This applies to changes in using technology or pedagogy or subject matter - whatever. 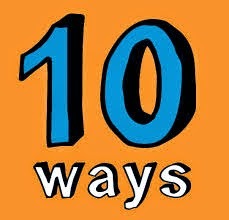 I was pleased to see that ExitTicket's suggestion for 10 Ways to Get Teachers Using Tech. While this is ExitTicket's move to try to induce change in schools to use their product (and they include the disclaimer in their posting) I would suggest that you read and consider these ideas to bring about change in your schools. Ban Alternatives for a Week. Devote Time to Adding Content. Put Resources in a Clean Package. Separate Initial Goals from Long-Term Goals. Read through these and try them out. I can't wait to hear about your successes and challenges in making this happen.